Are you seeking the pale sophistication of ash flooring? Chosen for its creamy light color palette, unique graining patterns, and durability, ash flooring lends an airiness and visual excitement to any room. The ash color palette extends from the palest whites, which come from the tree’s sapwood, to champagne and tan, derived from the heartwood of the tree. It has a bold, consistent grain pattern which can appear as straight or more circular. 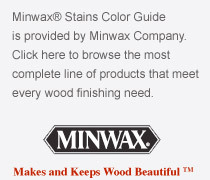 Ash hold stain colors well, and most ash floors are of the lighter ash sapwood, which is complemented by a light stain. Ash flooring shares many aesthetic qualities with white oak, and has a similar hardness, ranking 1320 on the Janka hardness scale. The hardness of ash means that it is the material of choice for baseball bats and garden tool handles. In the home, ash makes an excellent flooring material for living areas, hallways, entryways, baths, and kitchens. At our small, family-owned business, we have been installing beautiful, durable hardwood floors for more than 35 years. We know our way around all 50 species of wood flooring, and we are the go-to experts on exotic wood floor species, such as ash flooring. Whether you want historic charm or contemporary chic, we can help you choose the best wood species, grade, and finish for your home or commercial space. We work with a broad range of clients, from general contractors to interior designers and private home owners, and we have the leading skill and experience to meet even the most difficult flooring needs. It helps that we never use sub-contractors. Instead, we only use our own team of expert installers, who we know and trained. To speak to our friendly, professional crew about your ash flooring requirements, please contact us today for a free consultation.